We, the brothers and sisters of William Augusta Viva, are saddened to announce his sudden passing on Sunday, February 4, 2018, in Ladysmith, BC, at the age of 73. Born in Sydney Mines on August 25, 1944, he was the son of the late Umberto and Eileen (Monaghan) Viva. 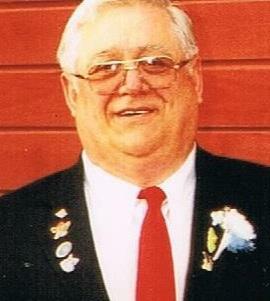 William was a valued employee of Telford’s Burial and Cremation Center. He was the past president of the Fraternal Order of Eagles, past vice-president of the Home Society Aerie Chapter 2101. He made many friends who were like family. He is survived by sisters, Lola (Jim Tobin), Maria (Leo Blackie), and Medina (Gerald Marks; brothers, Jimmy (Kathy), Michael (Carolyn), Owen (Darlene), Avery (Brenda), and Pat (Alana); and many nieces and nephews. Besides his parents, he was predeceased by a sister, Anna Lee LeBlanc. His family will receive visitors on Saturday, March 3, 2018, at 10 a.m. in J. M. Jobes Funeral Home, Main St., Sydney Mines. A celebration of his life will take place at 11 a.m., in the funeral home, with Fr. James Oliver officiating. Family flowers only. The burial will take place in the spring. Donations in William’s memory may be made to St Joseph Cemetery, or a charity of choice. Expressions of sympathy may be sent to the family at www.jmjobesfuneralhome.com.